I am loving the chance to participate in something fun and creative--thanks to Marissa Rex over at ElementarySchoolCounseling.org for starting this (and supplying the graphics)! For those of you who may be scratching your heads, many school counselor bloggers are taking some time to reflect on our 2012 blog posts. I guess the aspect of my blog that I'm most pleased with this year is the posts I am doing on the Recognized ASCA Model Program (RAMP) process. I am fortunate to work in a school district which provides a great deal of support to us as we compile data and narratives throughout the course of the year. I think it is important to share what I am learning and what is giving me pause for reflection as I and my department navigate these waters with the hopes that other school counselors and school counseling departments will see that with some long-range planning, assessment of tools and supports, and a willingness to dig into their data and programming, they too can begin to move towards RAMP certification if they so choose. My favorite post is the one entitled, Mirror, Mirror: The Importance of Reflection. As school counselors, we work so hard throughout the year meeting the needs of all the various stakeholders that come across our paths--students, teachers, parents, administrators, and community members. Yet, as we know, we are ourselves transformed with every new interaction, relationship, and event. It is important to reflect each year, as much as we can, on the impact that we are having on our schools through our programming and interventions, as well taking stock of the impact they are having upon us as practitioners and people. We must be well ourselves and with ourselves in order to be able to best serve others. The post I previously mentioned was the second-most popular post with my readers. The number-one post, though, were my reflections on the movie, Bully. It was a very powerful movie that many of us in the school counseling community viewed, and that many of the people within our schools saw. The high-volume of people who have read and continue to read this post leads me to think that this is a topic that is still very much on the front of our minds, and one to which we, as school counselors, are looked to for leadership within our buildings. I love technology, but it is not always an intuitive process. I can get quick tips and ideas from this blog that help me streamline my practice and use my time more effectively. If I can cut an administrative task from 10 minutes down to 5, that is five more minutes I can devote to working directly with a student or family. This is a must if you are a high-school counselor and working with students on the college-admissions process. Some of the best posts are from actual high-school seniors documenting their journey through the admissions time-line. Additionally, they are constantly featuring posts from people who work directly in college-admissions about everything from financial-aid to early-decision. They also send out monthly check-lists for juniors and seniors that you can share with your students to help keep them on track. The thing I admire most about this writer is her courage to bare her soul about how her work in school counseling makes her feel and the questions that it raises in her daily life. You cannot do this work and not be constantly challenged and transformed, and she is not afraid to take you on that journey with her. She gives voice to what so many of us feel, and in that way lets school counselors know that they are not alone in their experiences. There is a lot of power in being willing to share your story. 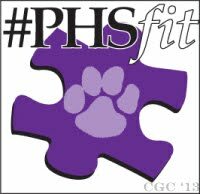 This is a relatively new blog, and it is a departmental blog for Pikesville High School in Maryland. I love the way that information is categorized for each grade level, and there are some great posts that not only inform you as a school counselor, but that you can share with your students and families. So far they've covered topics from finding a good college match to interpreting PSAT scores in a healthy, positive way. As school counselors, we are tasked with helping our students develop post-secondary plans that are realistic and that provide students with a pathway to a solid future. This is a great model for any high-school department looking to develop a blog that can be followed by their school community. This is the first school counselor blog out there, and since it has been around for a while it is full of a ton of useful information. If you need elementary classroom lessons, she has you covered. If you need resources for crisis or using technology as part of your practice, it's all there. She features guest bloggers that bring additional depth and perspective to a variety of issues and topics in the field. Another must-follow. There are so many more great blogs out there--I'm sorry I can't choose all of them. If you are interested in starting your own blog for you or your counseling department, Danielle Schultz, the creator of School Counselor Blog, will be doing a webinar through ASCA on January 16th, 2013 at 4 p.m. that will break it down and give you tips to begin. Sign up at this link and start blogging! It was fun--thanks for coming up with the idea! Thanks for the mention! If Marissa does this next year, I should have enough experience and posts to have something to add. Looking forward to seeing everyone in Philly! !